When a former nurse starts a natural, organic skincare brand, you know that her products are going to be laser focused on skin wellness. Coyran Cheung, founder of OSCO – Natural & Organic, lives in Hong Kong where pollution levels are soaring. 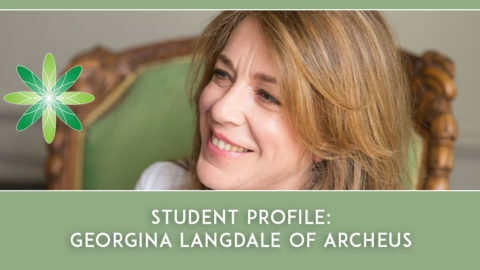 She knew, given her background as a health professional, that there had to be away to help protect our skin, as our body’s first barrier to external harm and our largest organ, from pollution damage. 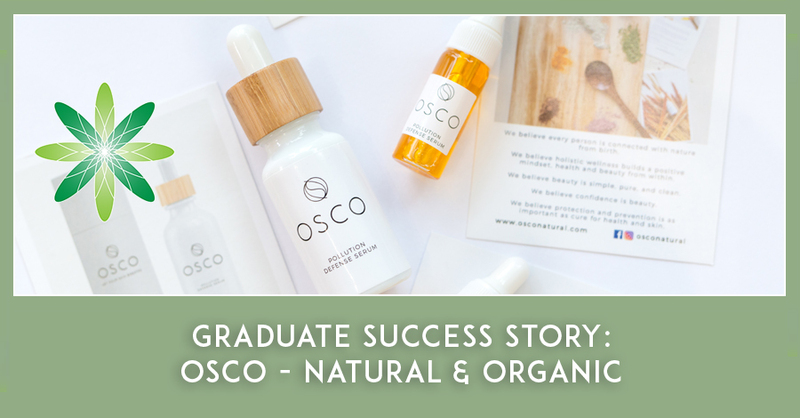 Armed with the training she received on the Formula Botanica International Organic Skincare Entrepreneur Program, Coyran opened OSCO for business in late 2018. Anti-pollution skincare is a growing, but still pioneering niche and one we were very excited to find out more about in our interview with Coyran. 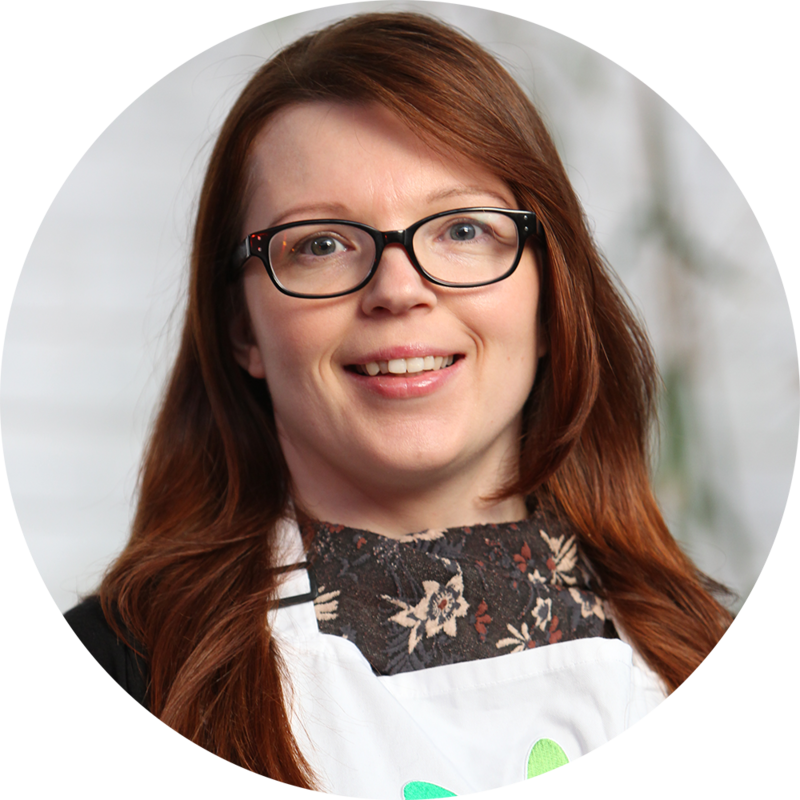 I am the founder of OSCO – Natural & Organic, a registered nurse and an organic skincare formulator and graduate of Formula Botanica. I am very passionate about natural and green beauty as well as formulating effective skincare products to help people solve their problems. 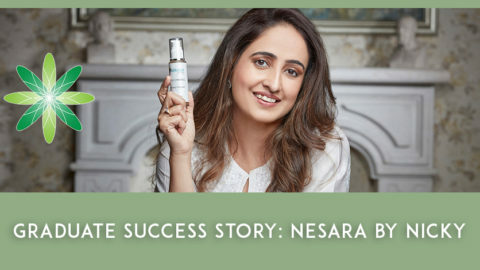 I worked in a hospital for nine years before leaving my job to launch OSCO, my skincare brand. Working in a hospital, I was able to help patients with their difficulties, which was a wonderful career to have; but it was also very hard work. I would work shifts in what was a very stressful environment and so I lost all semblance of a work-life balance. I knew that it wasn’t the life I really wanted for myself. How did OSCO come into being? I am based in Hong Kong and pollution has become a critical issue there nowadays. People are aware of the dangers of pollution but they don’t understand how to protect their skin and to help it fight environmental damage. I am eager to help people become confident, protected and healthy in a polluted environment and bring them back to nature. 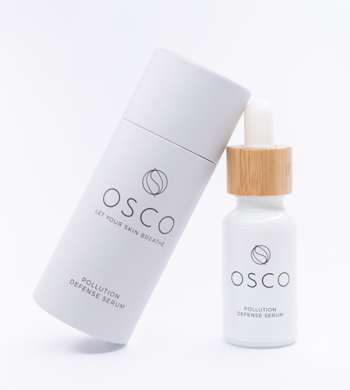 So I created OSCO as an anti-pollution, natural skin care brand in 2017, and launched my first product officially in September, 2018. OSCO exists to raise your health consciousness and address your skin concerns by providing natural and organic, healthy lifestyle products. We believe every person is connected to nature from birth. We believe beauty is simple, pure, and clean. OSCO delivers 100% natural and quality products without harmful ingredients to solve people’s skin problems especially those caused by a polluted environment. We believe in the power of passion and generosity. Our products are formulated and handmade with love, and follow strict GMP procedures to ensure freshness and quality. Our raw ingredients and products are never tested on animals. We also care about the environment and use recyclable packaging material for our products. Why did you name your brand OSCO? OSCO means Oscar and Coyran, my husband and I. He supports me all the time to achieve my dream and it means a lot to me! I think it is so perfect to name it ‘OSCO’. Besides, OSCO aims to provide natural and organic healthy lifestyle products with originality and creativity. So, there’s another meaning – Organic SkinCare Originality. We sell anti-pollution products at the moment. Our first and hero product is our Pollution Defense Serum. I really like it! Pollution Defense Serum is a high-performance facial oil with light and fast-absorbing texture. It is made with 12 potent and precious oils and extracts (100% natural and up to 80% certified organic ingredients) that are high in antioxidants and fatty acids (Omega-3, 5, 6, 7, 9) that your skin definitely needs. Pollution Defense Serum replenishes antioxidants and fatty acids, nourishes cell, helps destroy harmful free radicals. It will protect, detoxify, repair and strengthen your skin’s fight against a polluted environment. Your skin will be improved without being burdened! I love our simple and clean packaging and its inspiring idea. Do you know why we have a bamboo and white glass bottle inside a grey carton? The grey carton is just like the polluted environment, when you open it, our beautiful serum with clean and white bottle is a saver for you and your skin, and helps you fight against the harmful impact of pollution on your skin. My whole face broke out due to hormonal problems and the use of synthetic skincare products. For years, I was depressed and suffered from low self-esteem and felt I didn’t want to face anyone. Once I started to use natural skincare, my lifestyle changed. My skin improved although it did take time. More surprisingly, my hormonal balance improved too. From that moment, I really put trust in the power of natural and green beauty. I treasure this great gift from nature so much because it gave me back my life. This is one of the reasons I created OSCO – Natural & Organic. 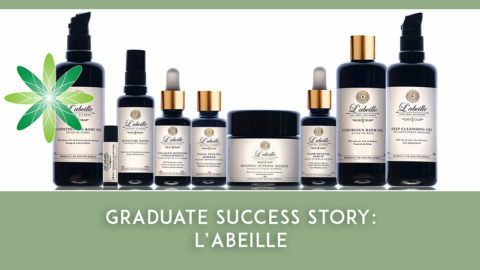 What was the toughest challenge in launching your own skincare range? I didn’t have any marketing or business experience so I had to learn all this from scratch, which took considerable time and effort. After graduating from Formula Botanica, my learning of course didn’t stop. I continue to attend training courses and networking events with like-minded people; those related to marketing and business as well as skincare formulation. I read books and continually seek out resource material to study to enhance my knowledge and develop my skills. 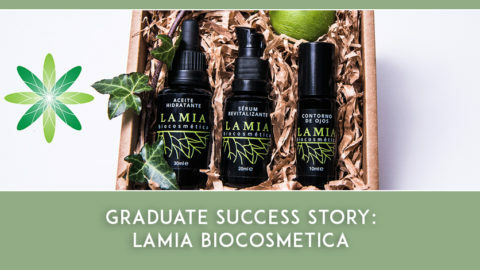 How did your Formula Botanica course help you? I am an organic skincare formulator and licensed tutor and graduate of Formula Botanica’s International Organic Skincare Entrepreneur Program. This program is really great! 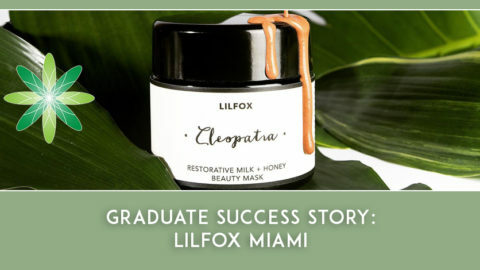 I didn’t have any skincare formulating experience before, but Formula Botanica teaches everything you need to know from scratch to advanced professional formulation level. I am now so confident in designing and formulating and in selling my products internationally. In addition, I love the community of Formula Botanica! Tutors and Facebook classroom mates are so eager to support each other. I have made so many friends in this sector thanks to Formula Botanica! What advice you would give aspiring skincare entrepreneurs? Persist, persist and persist! If you want it, just work for it, it’s that simple! I know we may have hard times, difficulties and challenges, but every time you want to give up, just remember why you started. Persistence will finally bring you to where you desire. Do what you love, believe in yourself. You may start off small, but dream big! 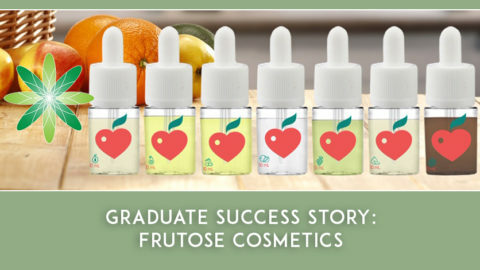 If you would like to follow in Coyran’s footsteps and start a new career in green beauty with the support of a like-minded community of natural formulators, take our free, organic skincare formulation sample class and you’ll be on the road to starting the organic skincare business of your dreams. 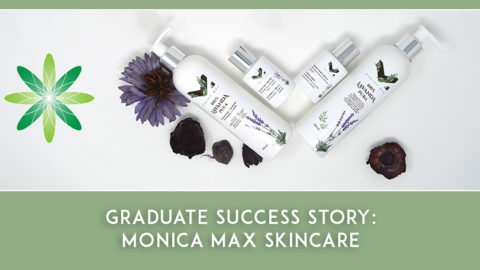 Find out more about the International Organic Skincare Entrepreneur Program Coyran chose or browse one of our many other organic skincare formulation courses.